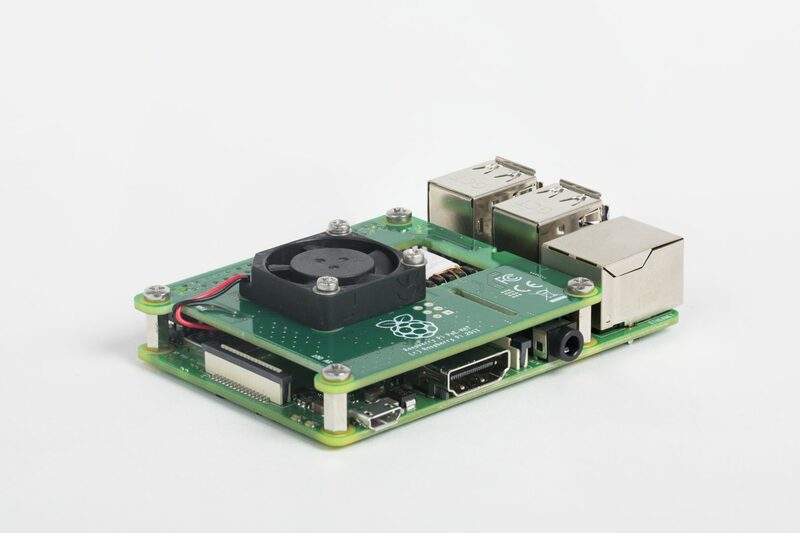 The Raspberry Pi 3 Model B+ launched five months ago and as well as being faster, with dual-band 802.11ac Wi-Fi and Bluetooth 4.2, it came with the ability to be powered through Power over Ethernet (PoE) via a HAT. Today the Raspberry Pi Foundation announces that the HAT is now available to buy, and at a reasonable price too. 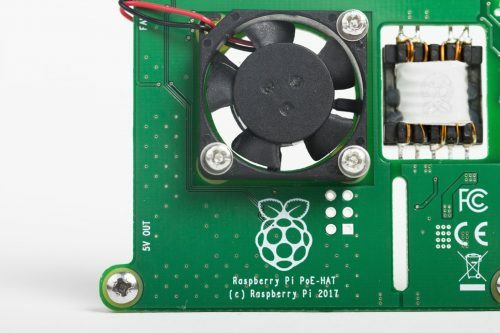 The new HAT (Hardware Attached on Top), which comes with a small 25mm fan to keep things cool when the Pi hits a certain temperature, connects to the Raspberry Pi 3B+ 40-way GPIO and the 4-pin header near the USB connectors. It uses the 802.3af PoE standard, which can deliver up to 15W -- enough to power the Pi. The Raspberry Pi Power over Ethernet HAT is available for sale now at $20, from Farnell, RS and The Approved Reseller Network. The Raspberry Pi 3 Model B+ retails from the same suppliers for $34.95.